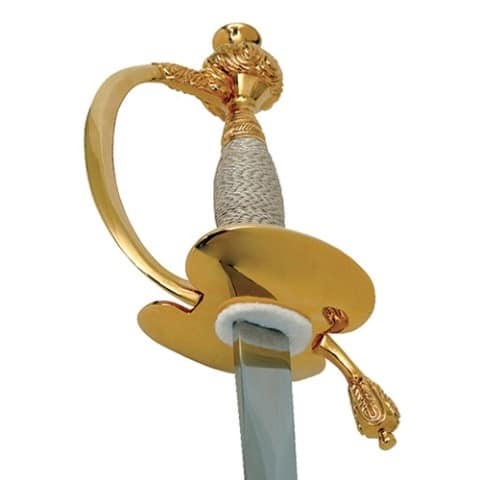 Regulation specification US Army NCO sword. 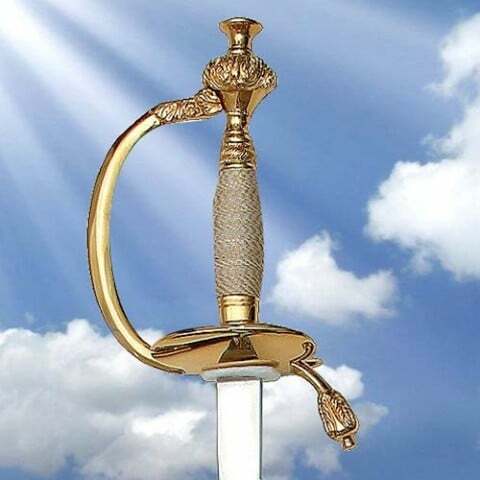 features a tempered stainless steel blade which is hand worked to a mirror finish. 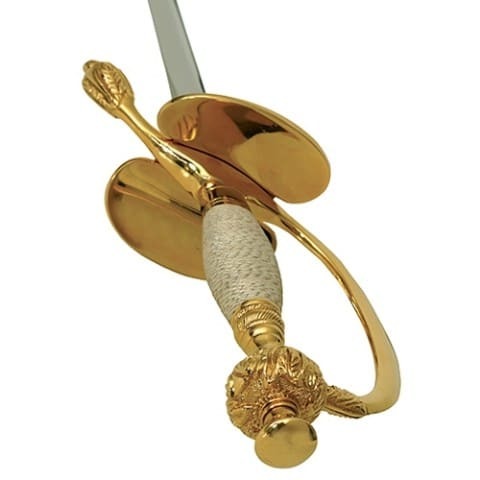 Pommel and guard are intricately cast solid brass and richly plated 24K gold. Grip is wrapped with silver plated brass wire. 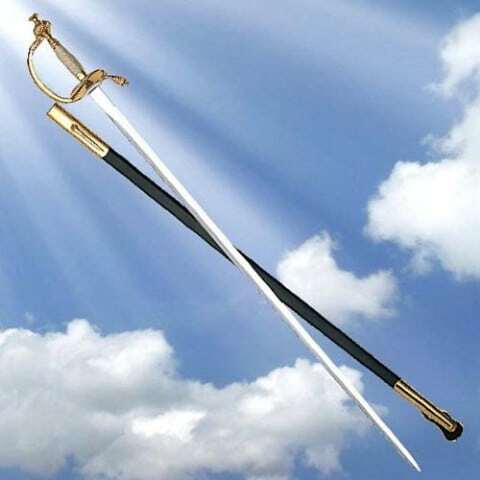 Scabbard is covered in genuine black leather with brass mounts also plated in matching 24K gold. Choose from sizes 28 inch, 30 inch, 32 inch or 34inch blade.